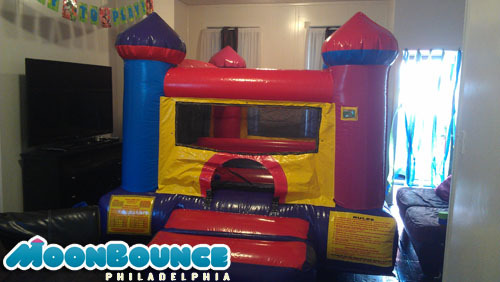 Take a look at the recent toddler bounce house and ball pit inflatable we rented to a family in Philadelphia, Pa. The Toddler Bounce & Ball Pit measures 12’4″ long by 8’2″ by 7’ high and is equipped with a bounce area and ball pit. If you are interested in renting this inflatable please fill out our online form or contact us at 267-51-6178.